Water is coming through your ceiling and panic is setting in. You have a pile of snow on our roof and ice is pushing down your gutter. This is what an ice dam starts to do. Its wreaks havoc through your roof, gutters, fascia board, soffit, to the insulation, and then through ceiling. Water starts coming out of your light fixtures. Knowing water and electricity does not mix, you shut down the power to that fixture. First You should call an Roof Snow Removal Contractor to remove the snow and ice from the roof. would be the second place to start. But for most homeowner they call them first because they don’t know what to do. Insurance adjusters will tell you to protect your house from further roof damage. when the damage has gone this far you know your over your homeowner deductible. could range from hundred to thousands of dollars. For the average home owner expect up 600 dollars. For big commercial property expect to pay in the thousands. Flat roofs can hold a lot of snow and can be very dangerous for potential cave ins. Its starts in the fall. Making sure that your gutters are clean and flowing water is coming out of your downspouts. If not get your gutters cleaned would be recommended. look for roofing deterioration. Check out the my 12 point roof inspection. If you see any of these example of roofing deterioration, call a roofing contractor. Proper roof Installation can help with ice dams. Soffit need to be vented and a ridge vent needs to be installed. It helps with condensation. 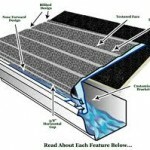 For more about roof condensation check out my page. Don’t wait for the snow to start piling up on the edge of your roof. well you might be thinking that you don’t want to pay a contractor to remove the snow. I highly recommend hiring a roofing contractor but if you have a low roof try a roof rake. Roof rakes are made for the removal of snow. They can work if used properly. If you want to become a master carpenter or just want to learn to cut a basic roof. This will be a good first step. Cutting king rafters are pretty basic it becomes hard when hips and jack rafters get involved. So i will leave that subject out for now. The first thing is getting yourself a framing square. I good framing square will have a one side that measures 24 inches and the other 16 inches. Most framing squares provide a rafter table. 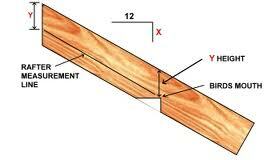 A rafter table will provide you with caluations to get your rafter measurements. 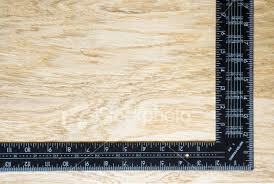 I going to provide you with easier way to get your rafter measurement without converting decimals into inches. Lets say you have a span of 24ft and you want to cut a roof rafter. First divide that span by two. 24ft /2 = 12ft ok easy right!!! now decide what kind of roof pitch you want. The roof pitch goes like this for every foot = the pitch and it rises in inches. Example lets say you want a 4 pitch. So for every foot you go verticle the pitch rise only 4 inches. This goes for every pitch like 5, 6, 7, 12 ect…. The higher the number the steeper the pitch, of the roof. Back to 12ft half the span of 24ft and choosing a 4 pitch you take your framing square hold the square on the 4inch mark and the other side 12inch mark. Trace the side the 4 and then the 12. Work left to right with 4 on your left and the 12 on your right. Now you just created a 4 inch rise per ft. You going to repeat this step 12 times because you have a 12ft span to cover. After you finished the 12 time you need to cut a birdsmouth. Birdsmouth is the where you notch the rafter to sit on the wall. On the 12 inch side keeping framing square 4 and 12 pitch. Slide it to the last mark you made until you have 3 1/2 inches coming off the 12. Cut that birdsmouth and you are done. Subtract half the width for the ridge and cut the 4 pitch. You can add a over hang after the birdmouth. I usaully add 9inch then add my fasica board is 1 1/2 making it 12 inch overhang. Hurricane Season is approaching!!! It is time to hunker down and prepare for tropical storms and hurricanes. Ialongo roofing Company will show you the best way to prepare your house for high winds and record rainfall. I will give you a detailed list on how to protect your house from flooding, broken windows, roof repairs, and possible losing your home. It is important not to wait last minute. Most likely you will have to hire a roofing contractor or a general contractor to complete these tasks. Some homeowners are very handy and most of these tasks can be completed. First thing to expect is high winds that can rip shingles to complete roofs right off. So if you are able to get on your roof this would be a good time to give your roof a 12 point roof inspection. Here You will find the warning signs that your roof is about to fail and need to seek a professional roofing contractor on protecting your home. Some roofing contractors can provide simple roof repairs, such lead flashing replacement, boot cover replacement, or repair a couple of shingles. This could be a couple of dollars now, opposed to thousands of dollars later. We all might have home owners insurance but that is the last thing you want to deal with. It takes months for them to deliver a check. Also the constant debate on how much the are willing to pay for replacement value. You also get to live in your damage home while this is all happening. This simple mistake of not checking if your gutters are working properly could cost you thousands of dollars. I have see it too many times water having nowhere to go, but to back up into your fasica boards. The water then enters your interior walls damaging paint, drywall, electical, and insulation. In order to fix that you have to remove all that wet insulation. Some homeowners have already taken this step and think they are fine. Not with hurricanes!!! Don’t forget clean gutter can be quickly clogged with leaves and twiggs from branches. The best way to to avoid this is to install gutter guards. There are many different brand out their, but here are a few gutter helmet and gutter guard. Checking your downspouts for clogging is important to. Most people forget to check the elbows. This where most clogs form. Also adding extra drainage line to your downspout, would be helpful. Pointing it in direction away from your house down slope. If you have serious drainage problems with your house you might want to add a french drain, or a sump pump for your basement. Depending on your lands water table will determine your drainage system. This is where a general contractor will come in handy. We have an eye for detail that can quickly scan for loose siding. A general contractor will inspect your step flashing, windows, siding , gutters and roof. Most will do it for free. 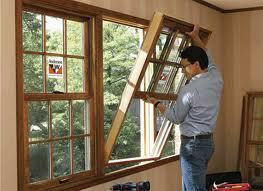 Boarding up windows can definately be a low cost and effective way to prevent damage. If you are expecting high winds this would be a good choice. These are just few Tips and tricks From Ialongo Roofing and Siding Company. Please link to my blog for many more tips and tricks on installs and preventive maintaince. Why should you choose Ialongo Roofing and Siding Contractor. We don’t cut corners!!! Ialongo Roofing – Siding company understands the enconmy is slow and times are hard. Settling for the lowest price and unlicensed contractors will cost you more. Check this story from news channel 12 unfit contractor right here rhode island. They used other people licenses and took peoples money. Don’t become another victom. choose Ialongo Building Company. The are just a few important reasons to go with Ialongo roofing and siding company. If a cranston roofing contractor is what you need. Then call us for a free estimate. I have prepared a video that will help fix a dormer’s step flashing on a roof. This is a new construction home that i have built. I will show the proper method of rolling the the ice and water shield up six inches on the dormer and folding down the vapor barrier. This will create a water tight roof. I have used this method for years and never had any leaks. fold down vapor barrier for water tight seal. I also shingle and step flash the dormer. Don’t over bend the step flash or it will sit to high and allow water to get under the shingle. Bring the the step flashing down to where the next shingle will be nailed and put two nails holding it in place. Be sure not to nail down on the step flashing where the shingles go. This create a leak in the near future. I have see many applications where they are nailed down becuase of over bending the step flashing. If you follow this procedure all the way up, you will be weather tight. Please like my page and i will provide you with more info on roofing repairs and siding repairs. 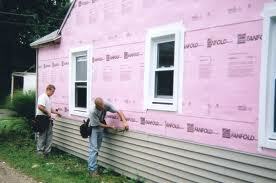 Go to www.ialongobuildingcompany.com for the best roofing and siding contractor. feel to leave comment or ask question about other roofing repairs. Call Ialongo 401-447-4264. 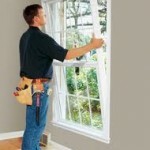 For a free estimate on a replacement window estimate. Ialongo Building Company can replace your old windows and doors. We carry quaility windows and doors at affordable rates. Upgrade your home and save on energy costs and recieve a tax credit. Not only will you save money but you will be free from windows that don’t stay open, close and seal correctly, or have to constantly paint. A vinyl window with build grids will give a look that will last for years. 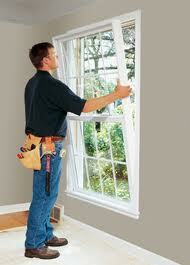 We are best window replacement contractor in Rhode Island. No one will have more windows to choose from, then us. Plus with are expertise in Siding, roofing, wood framing and finish carpentry you will be sure the job gets done right. Many RI window companies can not compete with us. Deal directly with the owner and avoid big chain companies. They hire subcontractors that come and go. You will never know what kind of contractor that will be working on your house. When you you choose Ialongo a RI Window Replacement Company, you are dealing with the best. Ialongo Building Provides additional services in Roofing, Siding, Decks, additons, windows and door replacement. We are a full service general contractor. 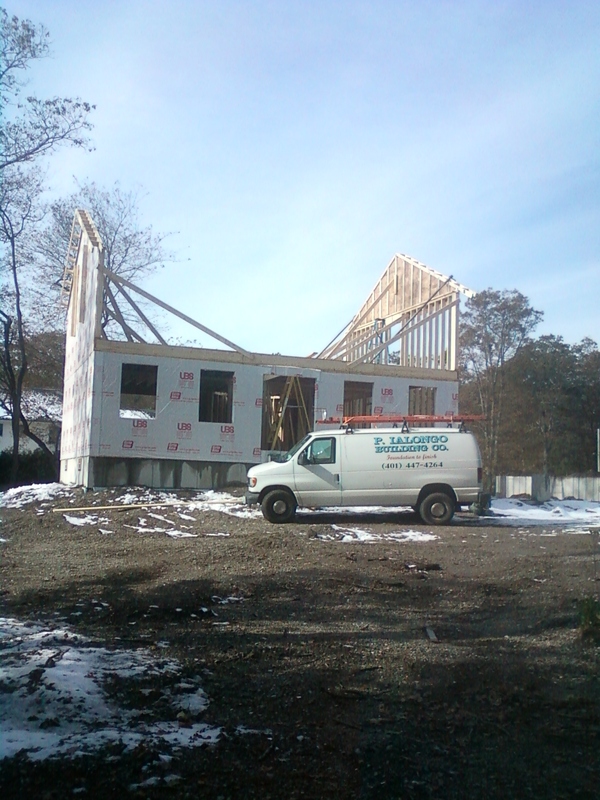 P. Ialongo Building Company is number one choice for a General Contractors in Rhode Island. We are a full service contractor for Roofing, Siding, Decks, Replacement Windows, Additions, gutters, painting and more! Instead of having multiple contractors coming and going tracking difierent employees through your house. Ialongo Building company is your one stop shop. We have the experience to fix any size or type of roof. Weather it is a residential roof, flat roof, rubber roof, commerical roof, or slate roof. We can make simple roofing repairs, such as chimney flashing repair, boot cover repairs, skylight leaks, missing shingles, bent gutters, and gutter cleaning. To major renovations such as stripping shingles, roofing replacement, chimney rebuilds, and roof sheathing replacement. Ialongo Siding company provides exterior upgrades at affordable costs. 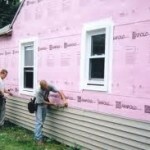 The are many ways to improve the siding to your home or business. Ialongo provides painting interior and exterior contractor services. If you have vinyl siding, Power washing brings back that new look. Power washing your deck weather it pressure treated, trex decking, or azek decking can remove mold and mildew. If you are looking for a complete makeover vinyl siding your house can be the way to go. The are many affordable brands of siding out there now. Its available in clapboard siding, cedar impression, and decorative scallops. With many different colors to choose from. For your siding installs or repairs, weather you have wooden clap boards, cedar shakes or vinyl siding. Choose Ialongo Building Company. Ialongo building company can replace your windows with name brands like anderson, and pella for affordable prices. Why hire big chain companies that sub out to contractors for a fraction of the price. Ialongo uses no subcontractors and high pressured saleman tactics. 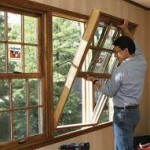 We get our window from Untied Builder Supply and can provide you with many different brands and styles to choose from. 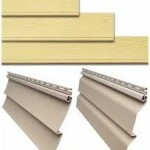 If your looking to replace exterior wood sills to the whole window call ialongo building company. Serving all of Rhode Island and southern massachusetts. Vinyl Siding can be installed over your exiting wood siding. Backerboard is applied first to provide a smooth surface for the vinyl siding panels to be fasted. For the best look for adding vinyl siding to your home is to strip the siding off and then apply the vinyl siding on your home or business. Stripping the old wood siding off gives a cleaner look around windows and doors. When adding backerboard and vinyl siding over the existing siding, it makes the windows and doors sunken in. The window casing and door trim can always be redone. As for the window glass will always remain in the same postion giving the windows a deeper look. Ialongo is the a Rhode Island Siding Contractor that beats the competition hands down. 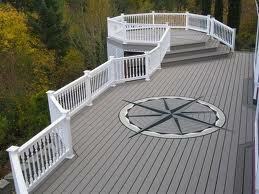 If your looking for a Deck Contractor to add a new deck, make deck repairs, or have a deck replacement. Then Ialongo building company is your Rhode Island Deck Contractor. 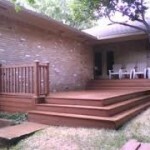 We have the experience and know how to make your deck be an enjoyable and functional space. 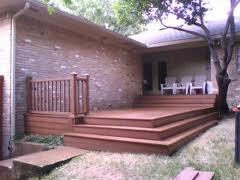 There are many different kinds of decking products out there. Choosing the right one can be very confusing. Pressure Treated decking is the common choice of decking material. It is the most affordable decking material out there. There is nothing wrong with pressure treated decking, if properly maintained it will last many years to come. Composite decking is very popular and looks more like real wood more than ever. There so many brands out there to name a few are trex, azek, and choice decking. As you can see all these decking materials are great products. Picking the right one will depend on your perference and budget. A deck can add value to your house and more important a place to relax, have cookouts, and entertain. So you know there is nothing worse than having a deck poorly constructed. I have seen it many times decks that have weak railing, stairs that are not level and set a different heights, and decks installed on shallow footings. I have seen decks that collaspe from improper lumber sizing and poor workmanship. Don’t let this happen to you. 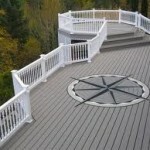 Go with a professional Rhode Island Deck Contractor. Home improvement contractor just taken over more filed complaints than the auto industry. Their are alot of unsatisfied home owners becuase jobs were awarded to unskilled contractors. Number one reason why they were award the job because they were the lowest price. In some cases the lowest price cost more in the long run. I can not tell you the countless jobs that I had to repair by unfit contractors. They had to pay me thousands more to fix mistakes from a poor contractor’s work ethics. Lets face it the lowest price is not going to meet your expections when compared to a contractor that has a great reputation. You going to save money in the long run. Ialongo building company is proven to be the best choice. Be headache free and rest easy with quaility RI general Contractor. Ialongo building Company does not cut corners and stands behind their work. Most cases the lowest price contractor is no where to be found. Ialongo provides Custom Home, Additions, Roofing, Vinyl Siding, Decks, and excavation. 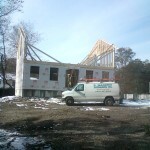 A Rhode Island General contractor when you need one count on us.